After 12 years of continuous investment in Bulgaria at the Chelopech mine and Krumovgrad project, Dundee received the permit to construct the Krumovgrad mine, a high value return project for all stakeholder claim from mining company. Dundee Precious Metals reported that the final construction permit for the Company’s Krumovgrad gold project in Bulgaria has been issued by the Chief Architect of the Krumovgrad Municipality. The statutory review and appeal period has expired and the permit is in force as of August 9, 2016. With final preparatory activities expected to be completed during the third quarter, and the recent completion of the sale of Kapan, equity offering and commodity hedging, the Company is well positioned to commence the construction phase of this project following receipt of Board approval. The proposed mine site is located approximately three kilometers south of the town of Krumovgrad in southeastern Bulgaria. The project plan contemplates the construction of an open pit mining operation comprised of a process plant which will employ conventional crushing, grinding and flotation processing for gold extraction and the disposal of thickened tailings together with the mine rock waste in an integrated mine waste facility. The plant is designed to treat up to 840,000 tonnes of ore containing 85,700 ounces of gold per annum over an eight year mine life. The capital cost to complete the construction of the mine and associated facilities, excluding escalation, financing and sunk costs is estimated at US$178 million. This project remains robust with an estimated 25% after-tax internal rate of return based on gold and silver prices of US$1,250/ounce and US$15/ounce, respectively. 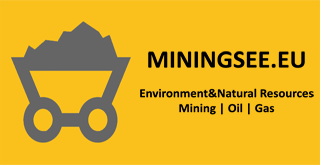 In addition, DPM is currently executing a systematic exploration program on the mine concession, and the surrounding exploration licenses, to identify additional resources to extend the current eight year mine life.